Fujikura driver shafts have been the leading graphite golf shaft manufacturers since they opened shop some 30 years ago. 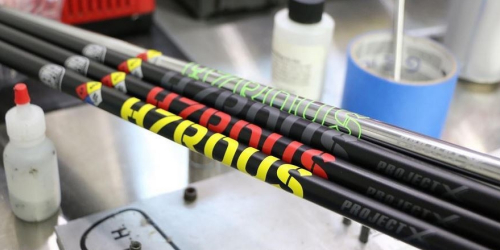 These guys have been making golf-shafts with the golfer's needs in mind. And, Fujikura also supplies the OEM companies of the golf world. It is essential to understand your golf game to know which shafts are right for you. When you are looking for the right golf-shaft, you need to know what you need to improve on. As some need speed, some accuracy, or more spin on the ball, these are traits that can be improved by your shaft. These determining factors help guide you to the best driver shafts for your game. Every golfer plays a little differently, and with the right shaft, you can deliver the right amount of force to your ball with ease. 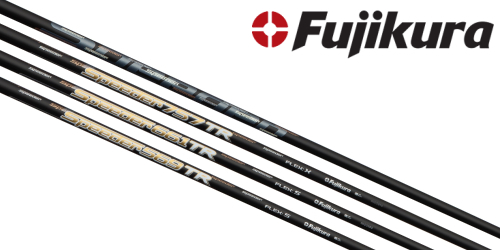 Fujikura shafts could be a great choice. Mitsubishi makes their driver shafts with the golfer in mind. They pride themselves on giving the golfer the long drives they are trying to achieve. Having complete control of your swing and ball connection is vital. And, having the right flex for your game is super important. These graphite shafts will help you reduce your ball spin and give you the distance that you have needed in your golf game. They offer nothing but the finest of Graphite shafts of Japan. Graphite Shafts from Mitsubishi are an excellent choice when looking to improve your golf game. The drivers made by Mitsubishi are made from scratch using only the best carbon fibers. These guys take manufacturing seriously by producing the raw materials they use in their shafts. They focus mostly on quality to get the best outcome for the driver shaft. The main concentration is Low Resin Content with a higher density of carbon fibers without adding any additional weight. With your driver shafts being one of the most important golf clubs in the bag, it is super important to add function without weight. The design of these goes deep, down to the raw material manufacturing. Nippon Driver Shafts were the first producer of consistent weighted steel shafts. Throughout your golf bag, it is vital that every golf club has a constant weight. Proper weighting will allow the golfer to have a better feel with each swing. This consistency goes from the driver to the putter, while the weight and feel remain the same. Nippon designs their Driver Shafts from either steel or graphite materials. These Drivers are well known for their consistent weight from one club to the next. They allow golfers to focus in on other aspects of their golf game. Project X golf driver shafts are known for their variable wall technology. The companies engineers can vary the wall thickness on any golf-shaft from the inside. This design gives you the advantage of having the weight distributed as it should be for maximum performance in your golf driver shafts. More than 90% of all the professional golfers use shafts with varying wall thickness. The thinner wall at the top of the golf-shaft allows for a better feel and grip. The thicker wall near the bottom helps with better control and accuracy. This technology is what makes Project X Drivers a favorite among many professional players. 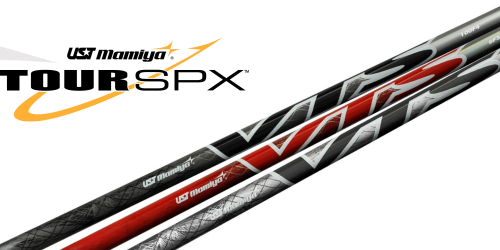 UST Mamiya Shafts help to improve what you need for a better game. First, you should know your stats, how far you launch the ball, how high, your swing speed and other information. Also, these are something that almost every golfer should know. How is your golf game? Answer these questions, before looking at new drivers. -Which type of golf shaft are you thinking about replacing? -Distance off the Tee, what is your average driving distance? -What your average driver carry distance, in yards of course? -What is your average swing speed? -Are you looking for better distance or control from your golf driver shafts? -Ball Flight, Do you prefer low, medium or high ball flight? These are things that help them with figuring out what will work for you. Picking the right golf clubs is a choice you have to make for yourself. Most of these things are a personal preference that ties with how you swing at the ball. Things like control, speed and accuracy are what we all want to improve out in our game of golf. But, what golf driver shafts will do that for you ultimately depends on what your swing, accuracy, and speed are, as well. Golf driver shafts can come in a variety of materials from the various manufacturers. What works best for you might not be the best for the next guy. So, do your homework, try some out if you have a chance. There isn't a right or wrong answer. All of these manufacturers make a great product. Most professional golfers have these golf shafts in their bags and use regularly. Just like the pros, this is not one size and style fits all. You need to figure out where your game lies so you can determine where you want to go with it. Choose your Driver Shafts wisely.